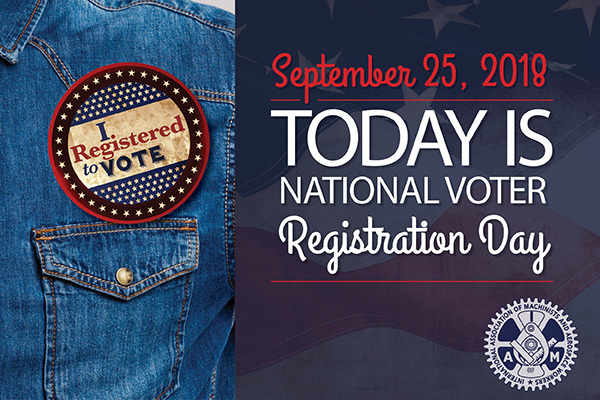 Today is Voter Registration Day. Have you registered? Don’t wait, November’s elections will be here before you know it. Our right to vote gives us the power to make a difference. We have the freedom and the responsibility to choose our leaders and get involved with the issues that we care about. Change truly begins at the ballot box. If you know someone who recently turned 18, or who has not voted before, urge them to register. The future is in their hands.